This course enables you to drive a rigid lorry (also known as Cat C or Class 2). You will need to hold a full car licence and a provisional Cat C licence to take this course. 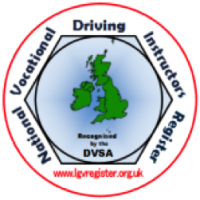 As well as gaining fundamental expertise in the handling of vehicle controls, individuals will be able to demonstrate through their driving that they have a comprehensive awareness of all matters concerning personal and vehicle safety. At Nithcree we believe that experiences count as well as qualifications. We hand picked our instructors and they have all had 5-15 years of industry based work experience. Costs vary between £1000 and £1500, inclusive of VAT. Contact us for a quote.